Reporters Without Borders (RSF) Turkey representative and journalist Erol Onderoglu is charged with "terrorist propaganda"
Turkish prosecutors have asked for three prominent activists and journalists to be handed jail sentences of over 14 years on charges of publishing terror propaganda for guest editing a pro-Kurdish daily, a report said on Thursday. 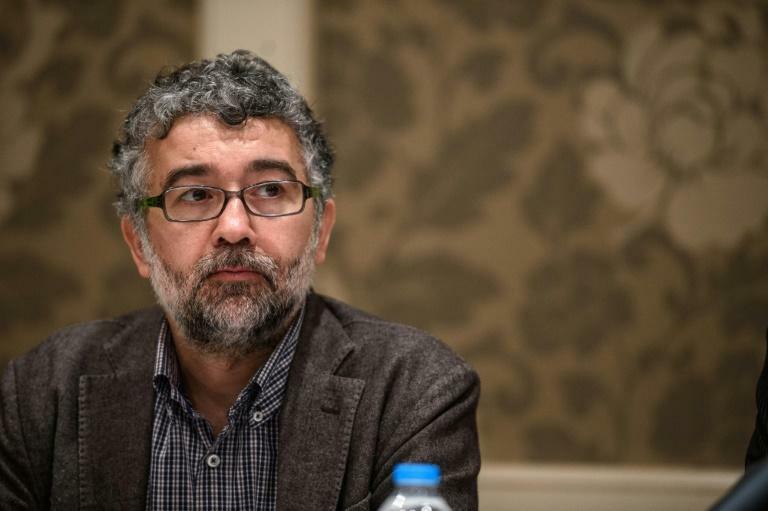 Reporters Without Borders (RSF) Turkey representative and journalist Erol Onderoglu, journalist Ahmet Nesin and rights activist and academic Sebnem Korur Fincanci were charged on Monday with "terrorist propaganda" and remanded in custody. They had all taken part in a campaign by pro-Kurdish Turkish daily Ozgur Gundem for prominent figures to guest-edit the newspaper on a daily basis, in a show of solidarity at a time when the government of President Recep Tayyip Erdogan is being accused of eroding press freedoms. Istanbul prosecutors have asked for the three to each be given jail sentences from a minimum of two years up to a maximum of fourteen and a half years, the Dogan news agency reported. The arrests have been bitterly condemned by rights and media freedom groups with the EU Commission saying their detention "goes against Turkey's commitment to respect fundamental rights, including freedom of media." Ozgur Gundem has continued its campaign and on Tuesday, the guest editor was the defiant editor-in-chief of the opposition Cumhuriyet daily, Can Dundar, who was in May sentenced to five years and 10 months in jail for revealing state secrets in a case that sparked an international outcry. Onderoglu said in a message from jail published by RSF Wednesday that he could not remember a period with such a crackdown and where "legal intimidation has become this visible." Fincanci added in a separate message: "Being here in such a period is an indication that we have done something good. It is an honour to be arrested by the state in Turkey." RSF said in a new statement Wednesday that the jailing of Onderoglu was "clearly sending a message to all Turkish journalists and human rights defenders, a message that says no one is safe from persecution."